​Our greatest progress comes from periods of immersive practice and study. These periods give our everyday lives the inspiration they need to keep moving forward. ​Practice Week is period of intensive yoga practice and study. Each day consists of two physical/asana practices, including Intermediate and Advanced asana, Pranayama, Meditation and discussion. Improve your connection and communication with your students. Make your teaching more sustainable. ​​At Teaching Week you will learn teaching techniques including how to see what your students are doing, how to read a student's posture, which instructions to give and why, how to give corrections & adjustments, how use your breath and how to use your voice. You will also learn anatomy, body mechanics, physiology and history that illuminate the therapeutic purpose of individual postures and the overall arc of a yoga class. ​Teaching Week qualifies for 44 hours of Continuing Education Credit with the Original Hot Yoga Association. You will receive a certificate upon completion. 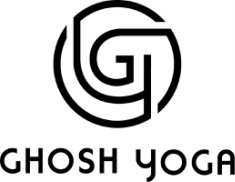 Yoga History & Philosophy Week qualifies for 16 hours of Continuing Education credit with both Yoga Alliance and the Original Hot Yoga Association.